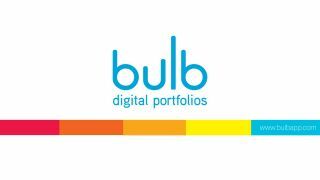 Today bulb Digital Portfolios released the bulbLibrary, a resource hub offering model portfolios, sample collections and pages, as well as templated content for customization. A number of educators have submitted their portfolios to the library to share publicly with others, including Belinda Medellin, an instructor at CAST Tech High School in Texas with plans to launch a first-of-its-kind UXUI design course for high school students. A template around professional learning will help teachers with goal setting and plans for their summertime professional development. The bulbLibrary also features a number of instructional templates teachers can use with students, including a writing prompt template to help students to improve writing. The bulbLibrary will be updated frequently. In celebration of Teacher Appreciation Week, a collection of responses to the question “What’s your why?” will be published. Educators can contribute to this resource by sharing their thoughts in the survey. Visit the bulbLibrary here https://www.bulbapp.com/library.